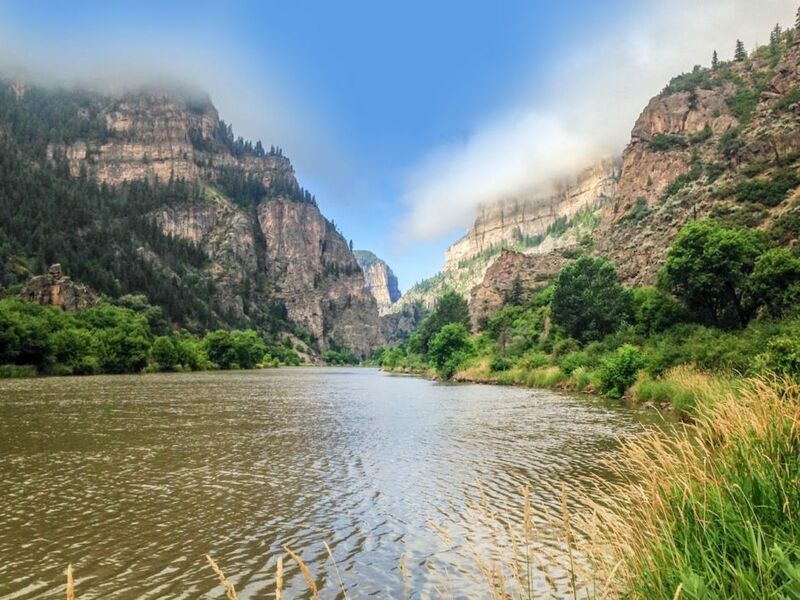 The turquoise waters of Hanging Lake lie between a weaving riverbed and the towering walls of Glenwood Canyon. Seemingly clinging to a cliff’s edge, this peculiar lake was created by a geologic fault that caused its bed to delicately drop from the valley above. 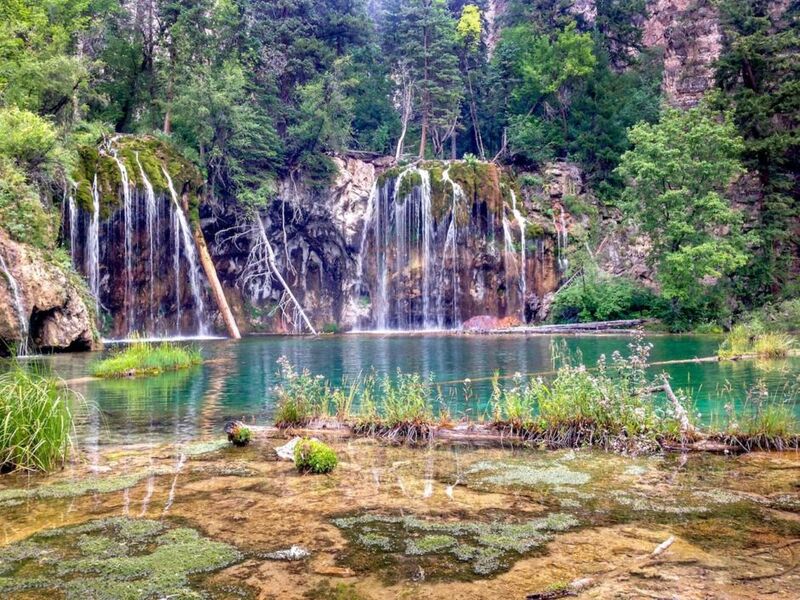 Hanging Lake is one of the most visited trails in Colorado, and the Forest Service may soon cap the number of daily visitors to protect its fragile ecosystem. The 2.8-mile round-trip hike gains more than 1,200 feet in elevation and offers amazing views — at any time of year. 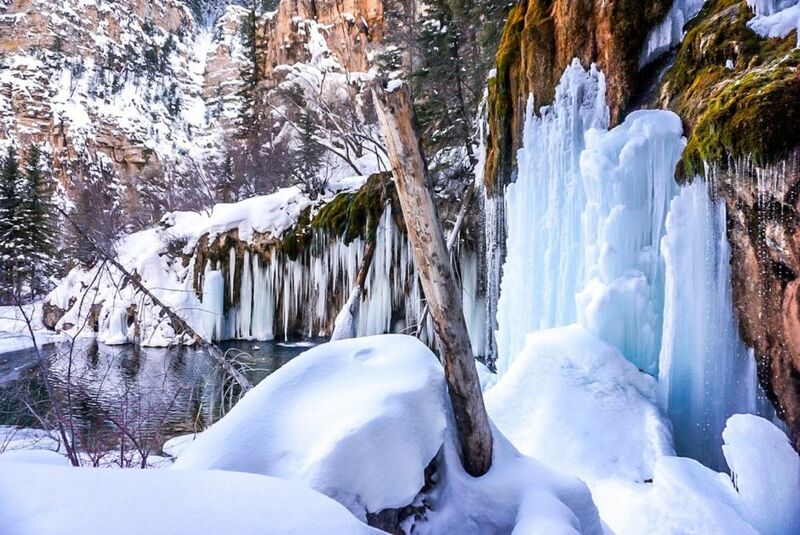 Here are photos from hikes around Hanging Lake in both warm and snowy weather. 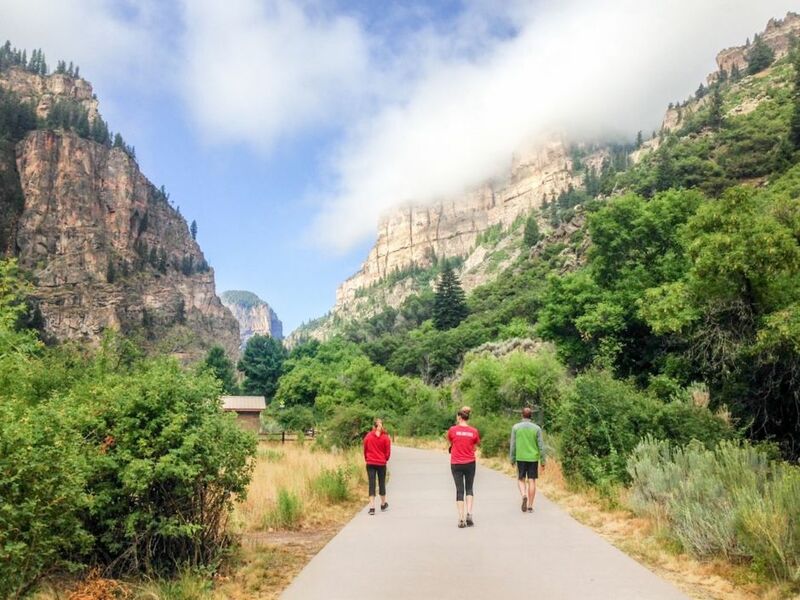 Deep in Glenwood Canyon on a warm Monday morning, a meandering paved trail quickly transforms into a dirt ascent as the Hanging Lake Trail begins. 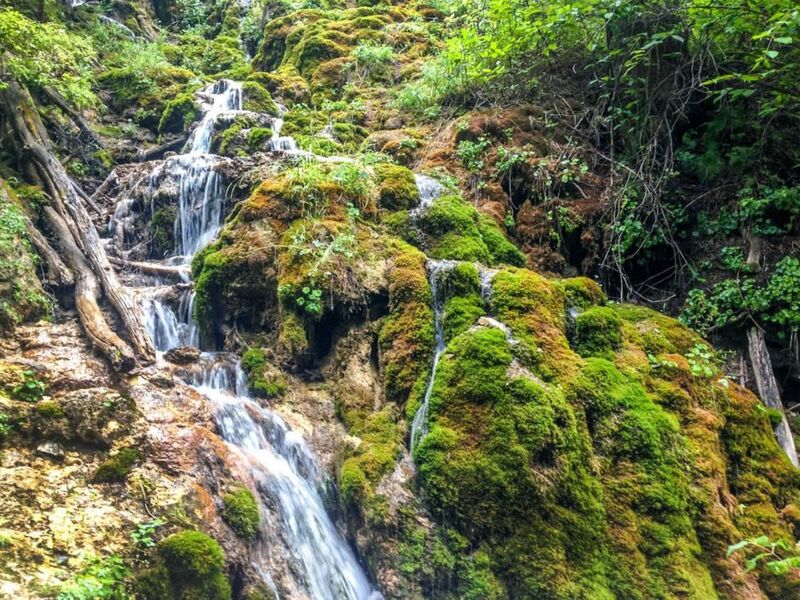 The glistening waterfalls and vibrant moss clinging to the rocks make you feel like you’ve just stepped into a temperate rainforest. 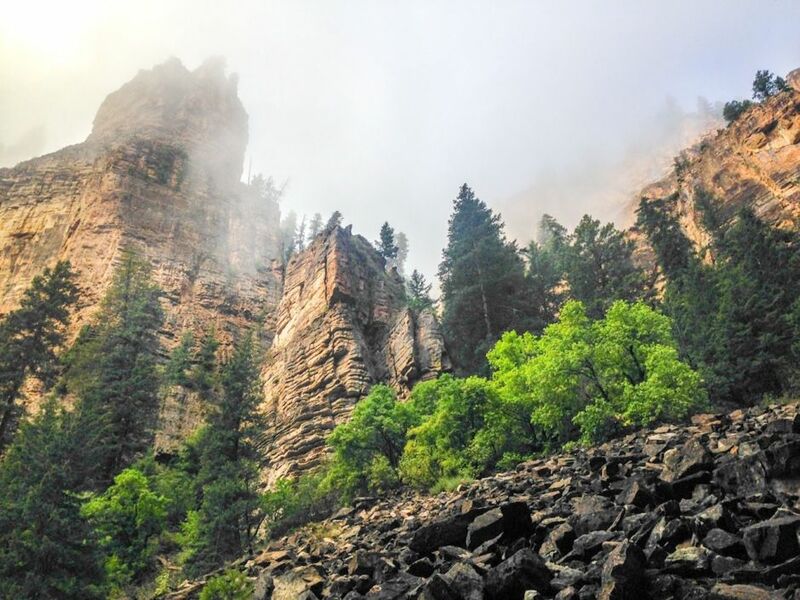 Rock formations soar above like castle spires as the trail’s 1,204-foot elevation gain leads hikers up into the clouds. With vistas like this, it’s clear why this is one of the most popular trails in Colorado. A low-lying cloud bank that’s been approaching all morning finally envelops the surroundings. The canyon slowly disappears from view as the trail gets steeper. On a clear, crisp day in a different season, this same spot offers a sweeping vista of the surrounding canyon. 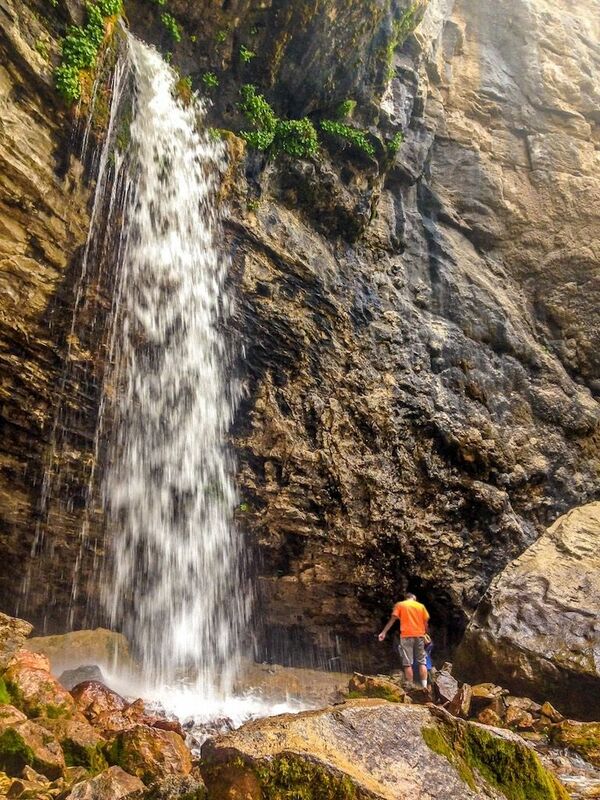 After the uphill climb, hikers get one of the first views of the crystal clear waters of Hanging Lake. The water might look inviting, but to protect the delicate ecosystem, neither humans nor dogs are permitted in the lake or on its floating logs. 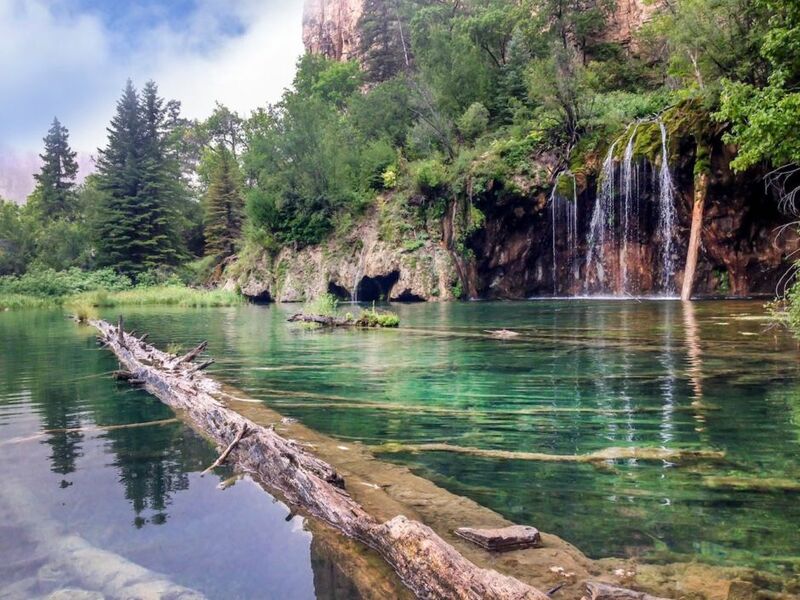 The shores of Hanging Lake are often packed with people, but early on a weekday morning it’s mostly empty. The lake’s incredible turquoise hue comes from carbonate minerals that have dissolved in the water. 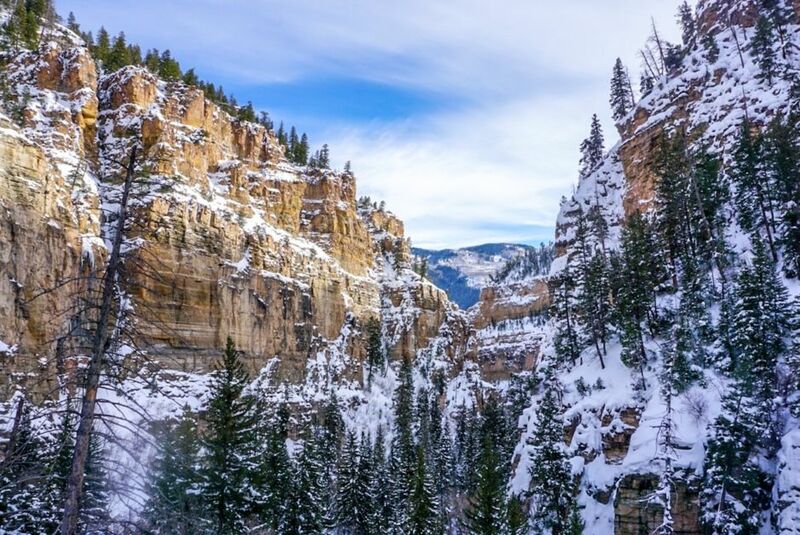 With proper gear, the Hanging Lake Trail can also be completed during winter, offering new views of classic sites. Make sure to bring extra layers and traction for the ice-coated trail. Hiking a bit further will take you to Spouting Rock, a powerful waterfall plunging from a cavern in the wall above. The clouds begin to clear and blue skies appear for the hike back out. 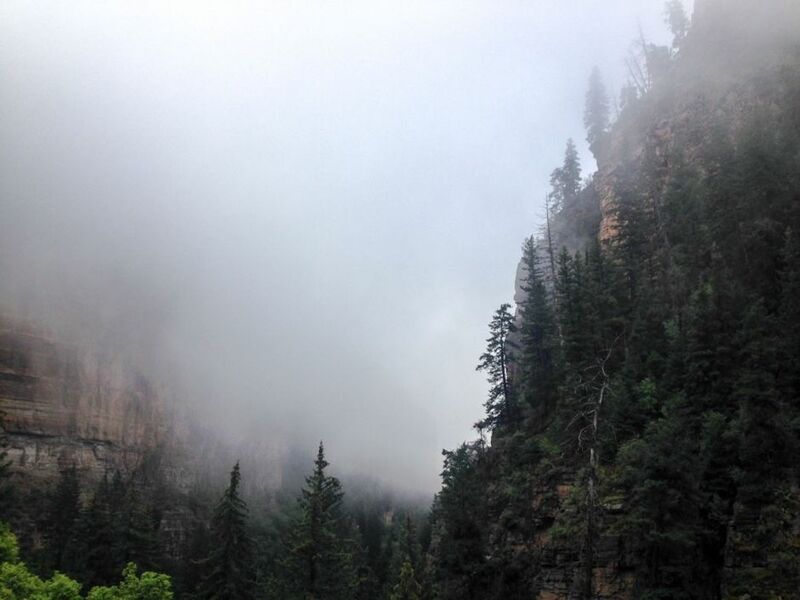 It’s late morning now, and more hikers are starting off towards Hanging Lake.